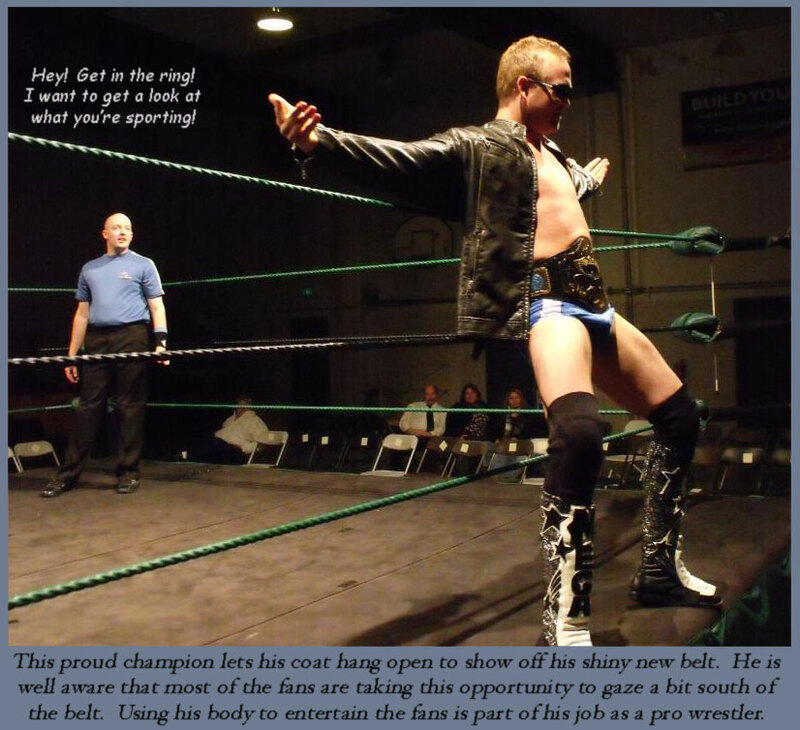 Some wrestlers sure take their sweet time getting in the ring! We paid to watch them wrestle for goodness sake, not to strut slowly down the aisle bumping and grinding, striking cocky poses as they climb in the ring. Why are these antics tolerated? Is this a sport or a strip tease? Are they trying to intimidate their opponents, or do they just want to show off their expensive gear? Do they think we have nothing better to do than sit here watching them perch on the ropes with their bodies on display, slowly peeling off their robes or jackets, flexing their muscles? Just look at all these arrogant show-offs preening like peacocks as they get ready to wrestle — it’s enough to drive you crazy. 3rd Photo down from top, Re: Whoa Nice Trunks man…….Biceps, Thick Chest, Thick Thigh’s and Goodlooking ! 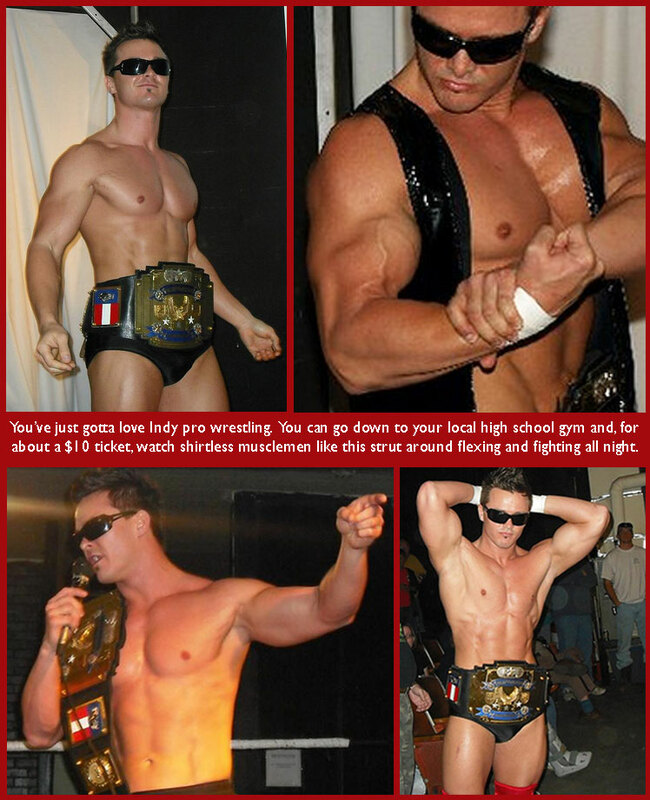 What Jobber wouldn’t want to step into the ring against this Hunk and take a beating? 3rd Photo down from top – does anyone know who this hottie is???? his name, anyone?? he looks like a greek god ..
anyone know who the stud in the red football pants is? love to check out his youtube vids. as a HUGE football fan, i’d love to see a few more wrestlers sport them in the ring, esp. white or gold!